Seattle Mariners’ second baseman Robinson Cano joined the 250 Career Home Run Club in 2016, becoming just the fourth second baseman in history to reach that number. Cano also finished 2016 with a career-high 39 home runs and drove in 103, while batting a solid .298 and made his seventh all-star appearance. 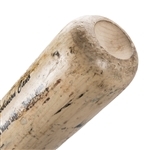 Cano used this SSK Pro model bat during the 2016 season. 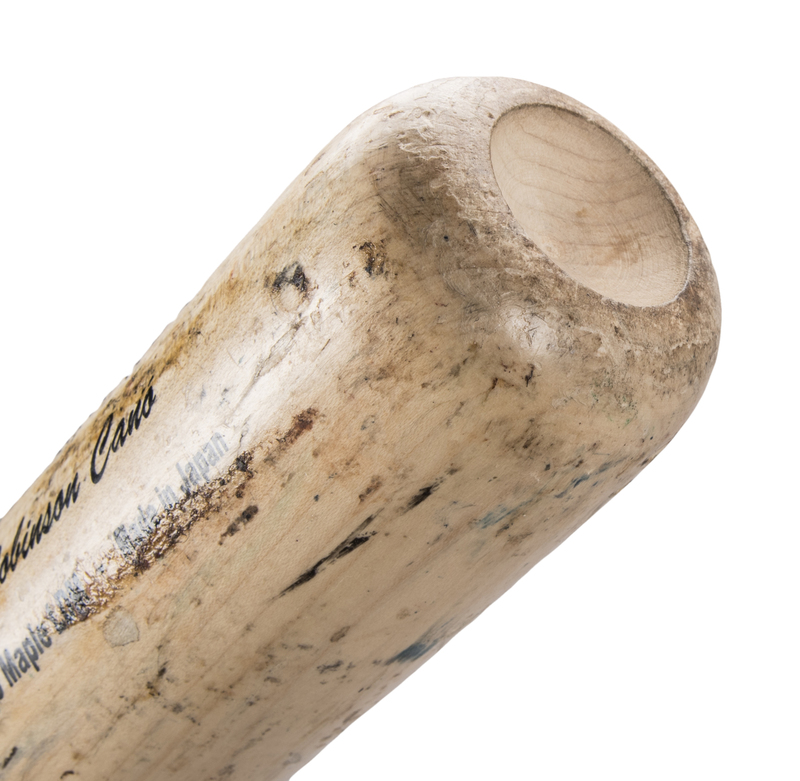 Displaying outstanding use, this un-cracked maple bat is 33.5 inches long and weighs 32.3 ounces. There are several ball marks and blue ink transfers present along with cleat marks and bat rack streaks on the barrel. 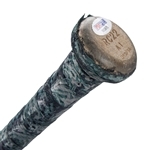 There is a heavy coat of pine tar on the upper handle and lower barrel and the handle has been covered by a camouflaged colored Lizard Skins grip. Cano’s initials and number “RC22” has been stamped on the knob, along with the date of manufacture “012016”. 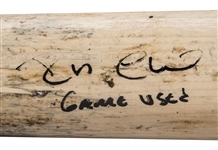 Cano signed his name in black marker on the barrel and inscribed “Game Used”. 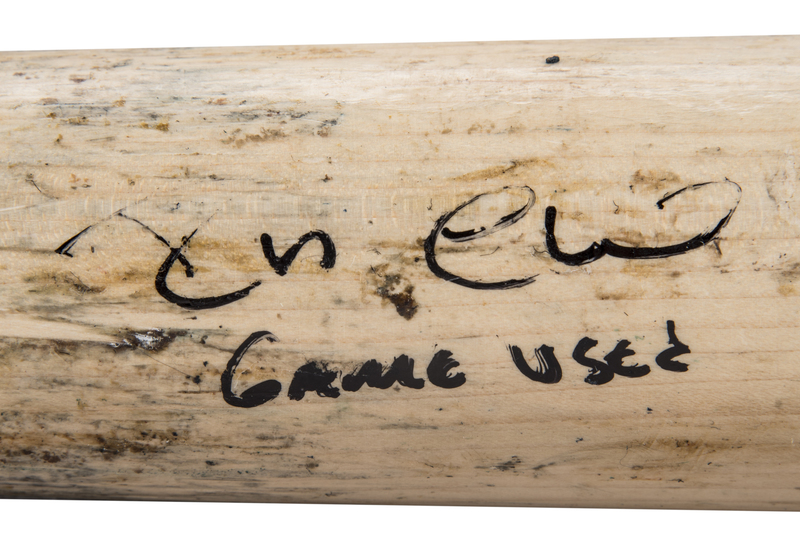 Please note Cano signed his name over some of the abrasions on the barrel, making his signature a little light. 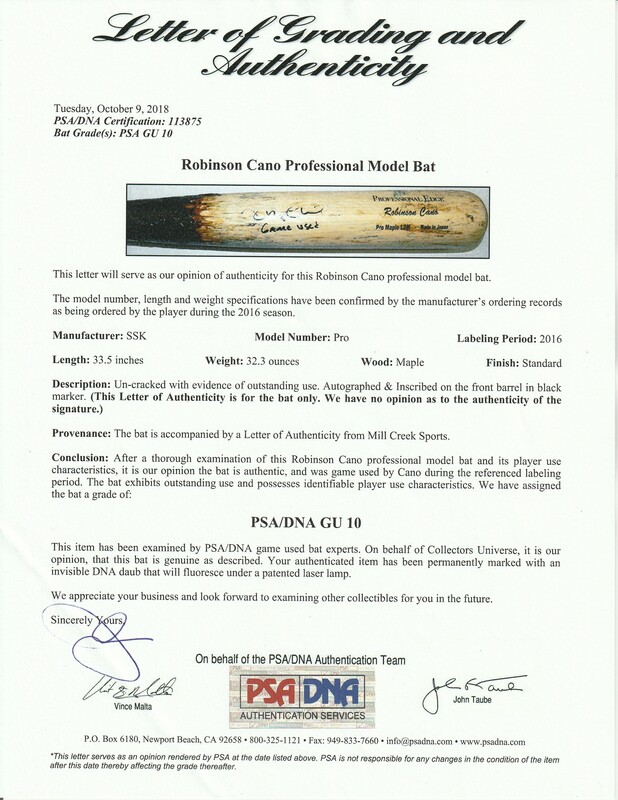 This bat comes with a full LOA from PSA/DNA (1B13875) for the game use and has been graded a perfect GU 10. 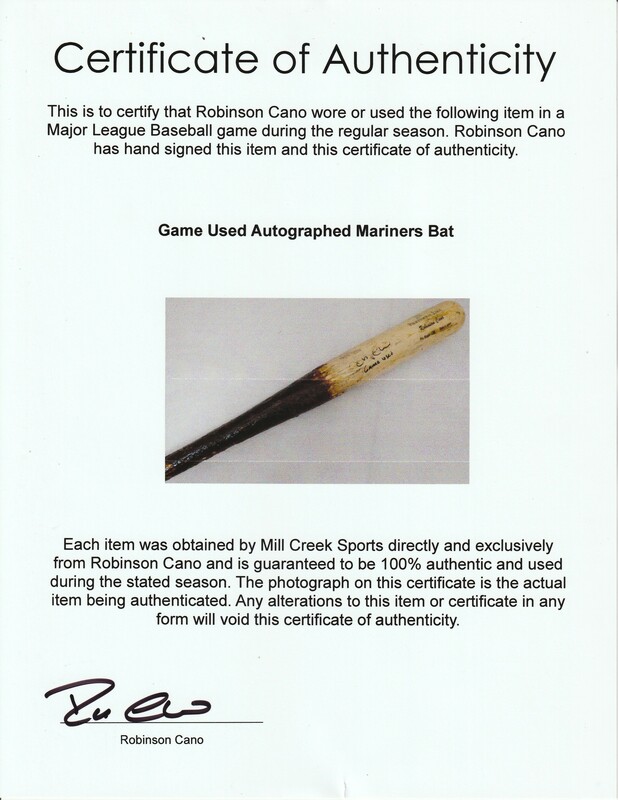 There is also a LOA from Robinson Cano for the game use and a COA from PSA/DNA (6A93905) for his signature.